ISHPEMING — Monday night’s game between the Ishpeming and L’Anse girls basketball teams was all about pressure, and in the end, the Hematites handled it a little bit better as they outlasted the Purple Hornets 70-65 in overtime. Madison Pruett led the Hematites with 25 points, while Emma Poirier had 22. L’Anse had four players score in double figures, led by Kailyn Voskuhl’s 15 points. Down 30-21 at the half, Ishpeming decided to apply some defensive pressure on L’Anse and rallied in the third quarter to pull within two points of the Purple Hornets at 43-41 going into the fourth. With 15 seconds left, L’Anse found its way out of the Hematites’ pressure and attempted a cross-court pass, but Pruett stole the ball and ran down the court for the game-tying layup. In overtime, the game went back and forth before Ishpeming took a slim lead. The Hematites then held off the Purple Hornets the rest of the way to get the win. “L’Anse came out early on us and outplayed us in the first half,” Ishpeming head coach Ryan Reichel said. 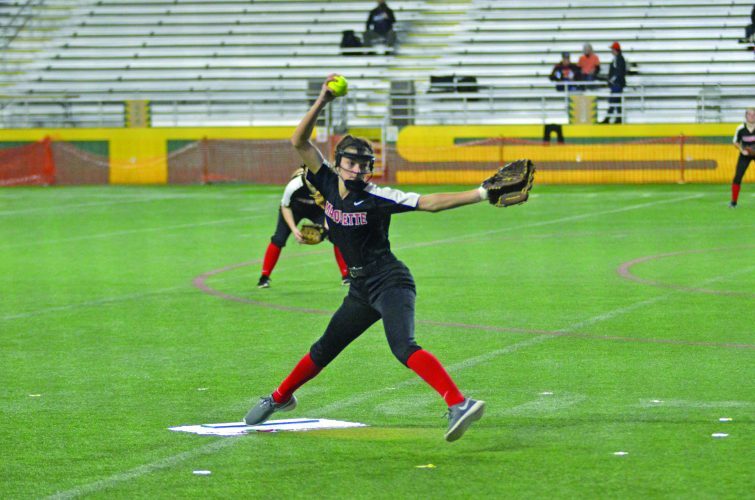 “We were fortunate to be in striking distance at the half. “We had to apply some full-court pressure in the second half that was able to create some turnovers. Ishpeming hosts Escanaba on Thursday. At Engadine, the Mustangs used three players scoring in double digits to get the win, led by senior Daryn Johnson with 20 points, to improve Munising’s record to 8-4. The Mustangs trailed 9-6 after one quarter before notching 15 points in the second quarter to pull ahead 21-16 at the half. The third period was the biggest of the night for the Mustangs, going off for a 29-point outburst while holding the Eagles (1-12) to 12. Munising senior Michaela Werner added 17 points while junior Megan Matson had 14. The Mustangs shot 25 of 51 from the field while the Eagles were just 14 of 45. Werner collected eight of Munising’s 31 rebounds while Engadine had 20 with MJ Cobe getting five. Munising vists North Dickinson on Wednesday. At Eben, it was a heartbreaker for the 0-11 Cougars, who came within two points of their first victory of the season. It was SC’s closest game of the season. The Cougars led 12-6 after one quarter before being outscored by the Black Bears (4-8) 13-7 to tie things up at 19 going into halftime. SC went up two points after three, but was outscored 13-9 in the fourth as BBDN held on. Junior Willow Pasanen led the Cougars with 11 points while senior Jada Johnson had 10. Superior Central hosts Bark River-Harris (12-3) tonight. At Republic, the Hawks (2-10, 2-6 Copper Mountain Conference) stayed with their visitors for three quarters before the Lakes erupted for a decisive 19-4 edge in the final period. Leading the way for the Lakes was MacKenzie Page, who scored 14 of her game-high 22 points in the fourth. Teammate Joslynn Perala added 12 points to the winning cause. Pacing the Hawks was Nikki Wertanen with 11 points, while Tailyn Raisanen added nine. LL-H also won the JV game 40-16. 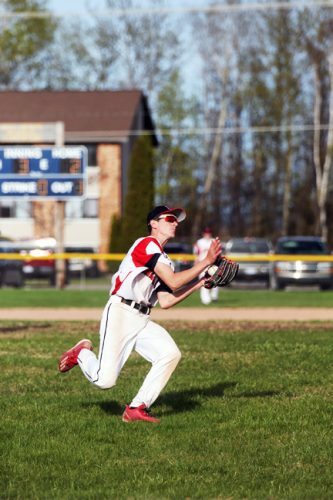 R-M plays again tonight in a makeup game against Chassell. The postponed game was scheduled for Chassell, but this game will be held in Republic, with the return engagement on Feb. 28 switched to Chassell. 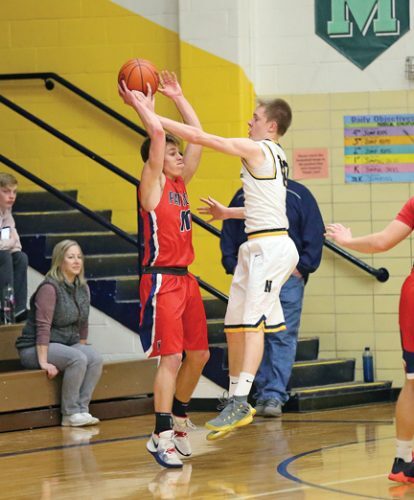 At Manistique, turnovers proved crucial in handing a Mid-Peninsula Conference victory to the Mountaineers as the Emeralds committed 17 miscues in the first half and 24 in all. IM had 13. And rebounding also helped the Mountaineers, who held a 34-25 edge. Halfway through the first quarter, the Mountaineers (6-9, 3-5 M-PC) switched to a pressure defense. 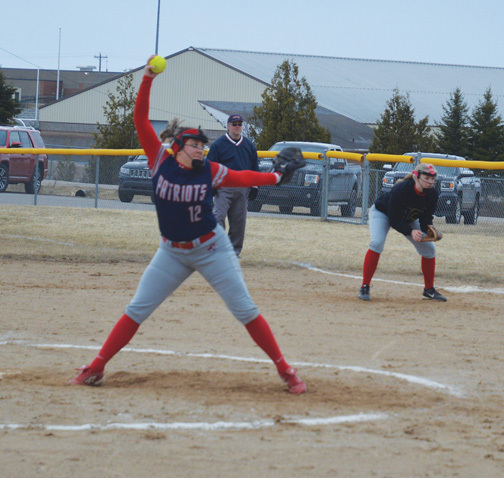 Manistique (2-12, 0-8) found themselves unable to handle it and trailed 16-9 by the end of the period. Iron Mountain continued its aggressive play and finished the half leading 34-14. The Emeralds found a rhythm in the fourth quarter, outscoring IM 13-9, but by then, they had been trailing by 26. Iron Mountain’s Faith Bal scored 12 points and Faylor Swartout added 11. Kayla Muth led the Emeralds with nine points. The Emeralds, who lost the JV game 47-35, host Gwinn on Saturday. 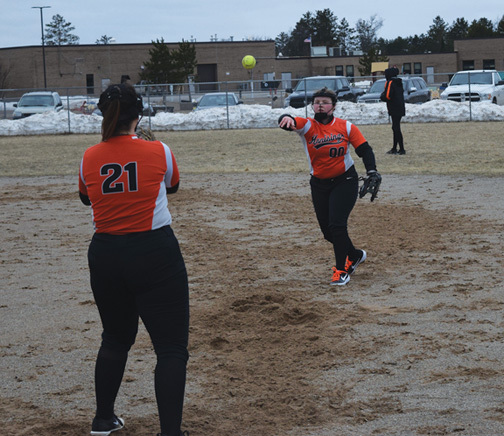 Information compiled by Journal Sports Writers Ryan Stieg and Ryan Spitza and Journal Sports Editor Steve Brownlee with contributions from the Escanaba Daily Press. Email Stieg, Spitza and Brownlee at sports@miningjournal.net.